Perhaps you've seen the stack of Tony Hawk: Shred skateboard bundles sitting at your local video game store. You might want to get used to them, because the game's first week sales number are very, very low. A word to publishers: Taking your franchise away from a developer two week's before the release of the next game in the series doesn't make for strong first week sales. According to Cowen & Company analyst Doug Creutz, the second plastic skateboard installment of the Tony Hawk franchise only managed to move 3,000 copies during its first week of release. That's pretty abysmal, but it really isn't much of a surprise. 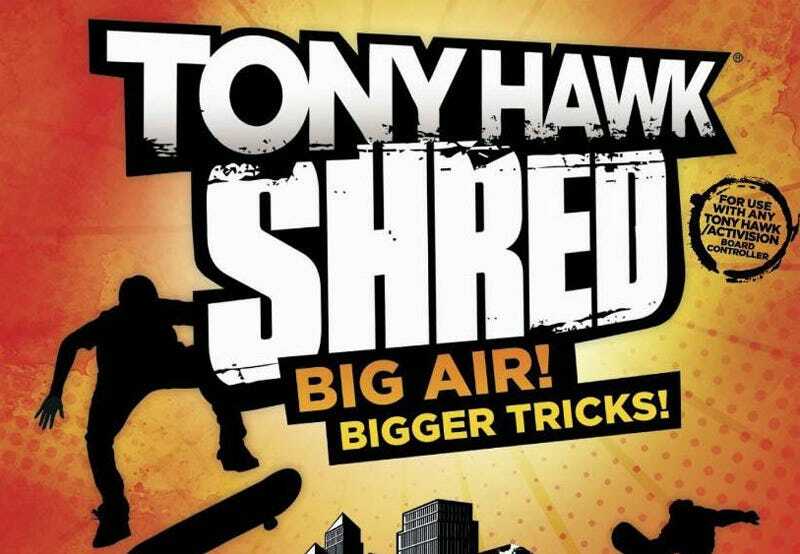 Considering the poor critical and retail reception Tony Hawk: Ride received, I'm surprised the Tony Hawk: Shred even exists. Giving the sequel a green light was a real gamble for publisher Activision, and it did not pay off. The end result is a game that's not selling and development studio Robomodo having to lay off a large portion of its staff. At least we now know that a lack of snowboarding wasn't the reason the first game failed, right?